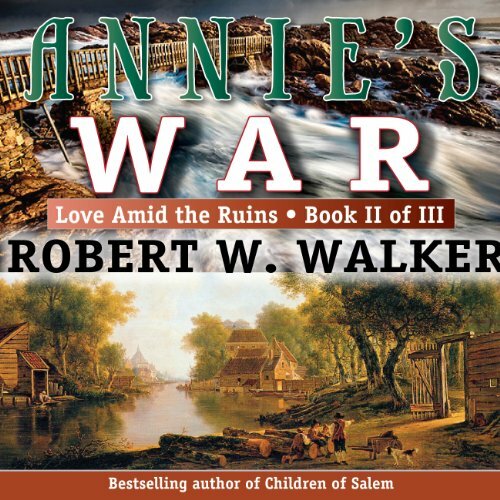 This novel is 2nd in a Trilogy about the 17-year-old activist and co-conspirator with John Brown at Harpers Ferry, his daughter Annie Hope Brown, who falls in love with her father's 1st-in-command and is having John Henry Kagi's baby. However, she has kept the pregnancy a secret, and is now clawing her way back to Kagi in the company of a man named Wesley Lane, secretly a Pinkerton Agent out to make a name for himself as the man who has killed her outlaw father to reap the reward of thousands as well as the fame. His disguise is the ruse that he wishes to join her father's men on the attack at the Harpers Ferry, Virginia U.S. Armory - arguably the first home-grown terrorist plot in America. It is 9 years before the outbreak of Civil War but Brown's attack is still called the first bloodshed of that war. Gun smoke and gunfire and gunplay is at the heart of this western-styled historical romance. Things really get complicated with the Pinkerton agent bent on killing Annie's father cannot help but fall into the role of protector of Hope as he calls her, and soon his hope is that she might one day return his love. This amid a three-way war that breaks out in Harpers Ferry. These middle chapters will be followed by Book #3 in the Trilogy. The year is 1859 and the freedom fighters who rode with the infamous John Brown of Bleeding Kansas are prepared to die for the cause and have a purpose to make the Constitution of the United States an 'honest document' when it says “all men are created equal”.